It became known how much deputies will work in city council the next few years. Kharkiv City Election Commission announced the official results of the elections to the city council which was held on October 25. 4 parties “Vidrodzhennia”, “Samopomosh”, “Block Petro Poroshenko “Solidarnost” and “Nash krai” cleared the 5 percent barrier for entry to the city council. According to the results of vote count, the party “Vidrodzhennia” will form the majority. The deputy mandates will have 57 representatives. “Samopomosh” is on the second place and will have 13 deputy mandates. 7 mandates will receive BPP “Solidarnost” and 7 – “Nash krai”. In total, 84 deputies will work in the new convocation of the city council instead of 100 deputies. The list of elected deputies can be found here. 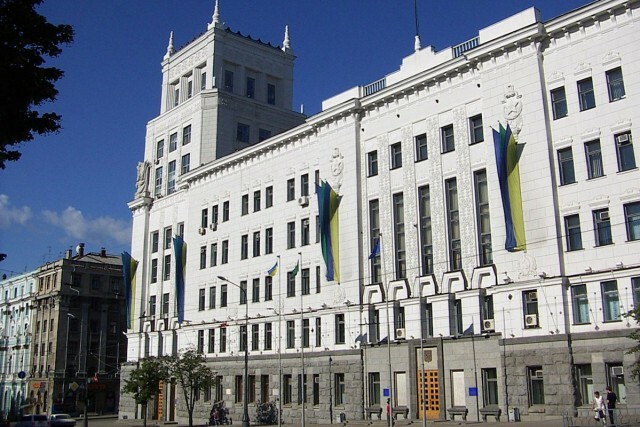 People who fought in the ATO area will be also presented in the new composition of the city council. According to the list of elected deputies, now at the session hall can be found staff sergeant Ivan Rakich who was commander of the 1th subdivision of a combat engineer company of 92nd separate mechanized brigade and who fought in the ATO area. And professor of the Department of Zoology and Animal Ecology of V.N. Karazin Kharkiv National University Sergei Utevskiy who defended his doctoral dissertation while in the service in the ATO area. Kharkiv Mayor Gennady Kernes said that this will allow to work effectively for a particular result for the development of Kharkiv with a joint team. Recall that Gennady Kernes has already officially recognized as the winner of the election of the Kharkiv mayor.